Students who started in the School of Engineering at Waterford Institute of Technology (WIT) in September were among some of the first to participate in a new peer support programme. The Head of School of Engineering at WIT Dr Ken Thomas believes initiatives like BYTE (Broadening Your Third Level Experience) and the positive energy it has created are core to the solution to producing enough graduates to meet industry demands. “BYTE has greatly enriched the student experience. Students feel more comfortable and confident about themselves and their courses. This is vital in the context of a growing national/regional need for engineering talent at all levels,” he says. “BYTE was piloted in 2015 and due to its success it is being extended to all departments in the School of Engineering,” says Engineering lecturer Fergal O’Hanlon who spearheaded the initiative. “The overall objectives of the programme include improving student retention by making students feel like they belong, and giving students ways to get to know and ultimately help each other. “As well has helping with retention BYTE gives students a set of tangible skills that will scaffold their learning experiences at WIT and benefit them not just throughout their college experience but throughout their life,” he adds. “It fosters peer support that naturally arises within a student community and has developed into a mix of elements that include social integration, academic integration and mentoring,” she says. 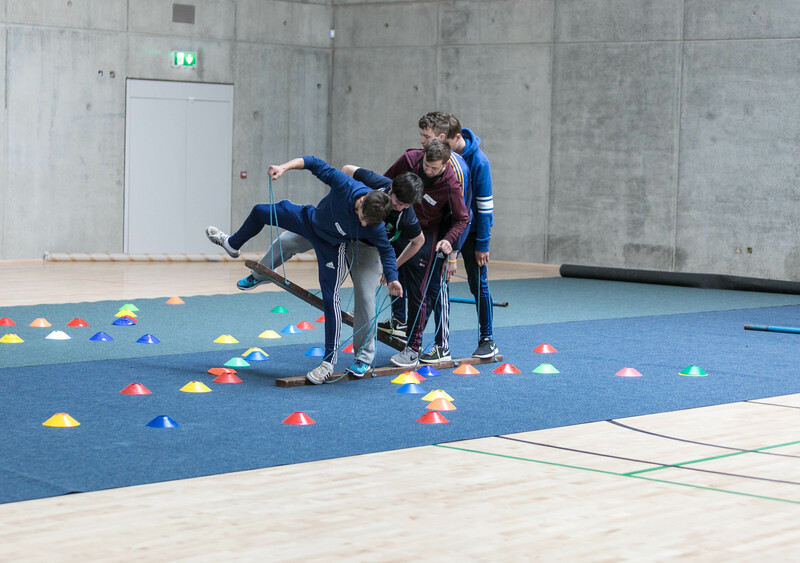 Apart from team-building style events at the WIT Arena students from all years across all programmes meet once a week in a timetabled BYTE session. The weekly sessions allow students, particularly first years, to meet students from other years and whilst learning from other student experiences, they form communities of support and make friendships that will last beyond the study at WIT. WIT’s School of Engineering provides professionally accredited flexible pathways for lifelong learning in a variety of engineering, architecture and built environment disciplines. The School includes three Departments (Architecture, Built Environment and Engineering Technology) and is home to a broad range of education courses and research programmes from Higher Certificate to Doctorate at Levels 6-10 on the Irish National Framework of Qualifications. In addition to gaining specialist individual knowledge and skills, WIT School of Engineering students increasingly work in interdisciplinary teams to help solve real world problems. Most of its degree programmes also include an Industrial Placement semester in Ireland or overseas. The School of Engineering’s innovative research activities are typically carried out in partnership with local, national and international companies, organisations and communities.